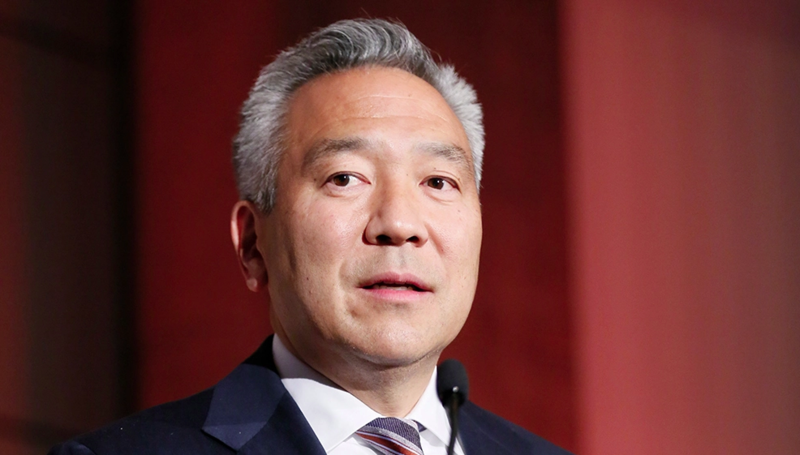 Effective this morning, Warner Bros. Entertainment CEO/chairman Kevin Tsujihara will no longer be serving in either position. The studio exec has stepped down as the direct result of allegations involving bribery, extortion, threats, and an alleged affair between Tsujihara and a young actress who performed in multiple WB features following their involvement. Tsujihara had served in both positions since 2013, and was responsible for overseeing such blockbuster franchise projects as the Fantastic Beasts spin-offs and the beginning of DC Films’ major production resurgence. For his part, Tsujihara agreed to work on finding industry openings for Kirk under condition of discretion and secrecy. Though the physical affair was brief, Kirk remained connected to Tsujihara over the following months and years before eventually being transitioned into a small handful of auditions and roles in Warner projects, including Ocean’s 8 and How To Be Single. However, the wrangling continued between Kirk, who began threatening to involve lawyers if the casting agreement wasn’t met, and Tsujihara, who according to images in the Reporter had promised her exactly that throughout their affair. While Tsujihara, Packer, and Ratner repeatedly attempted to place her on projects with other, loosely affiliated studios, Kirk never secured any sort of major role. The claims are still under investigation.